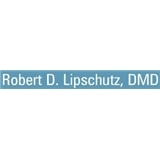 Robert Lipschutz, DMD (New York) - Book Appointment Online! Cosmetic Dentist Robert D. Lipschutz, D.M.D., New York NY, practices a full scope of general and cosmetic dentistry with expertise ranging from porcelain veneers to dental implants, crowns and bridges. Dr. Lipschutz can now correct a wide variety of so-called permanent cosmetic dental problems, and can literally redesign your smile. If you should need to cancel your appointment, kindly provide 24 hours notice. Otherwise, you may be assessed a broken appointment fee. From the soothing classical music playing in the background to the welcoming assistant to Dr. Lipschutz himself, these all contributed to a very positive and angst-free visit. After having had very different experiences with a different dentist for the past couple of years, Dr. Lipschutz and his team's friendly and professional attitudes really helped me feel welcome and a bit like opening a bottle of champagne afterwards (not because I had no dental issues, rather because there exists dentists like Dr. Lipschutz).